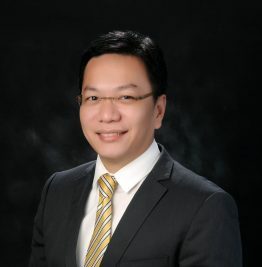 Vladi Miguel (Miggy) is heavily involved in the firm’s dispute resolution and labor & employment practice areas. Miggy has advised and acted for clients across a broad range of sectors and on a wide variety of matters, and has represented them before various courts and specialized tribunals. Miggy also advises on data protection matters. Miggy joined C&G Law in August 2011 and was promoted to senior associate in April 2015. Miggy was admitted as a Partner effective January 1, 2018. Part of the team that acted as Philippine counsel for one of the world’s leading multinational chocolate and confectionary companies in an arbitration before the International Chamber of Commerce and related court proceedings in the Philippines against a former distributor of the company’s products in the Philippines. Represented power generation and manufacturing companies in challenging local tax assessments before Philippine courts and specialized tribunals. Represented different companies in litigating contractual disputes with counterparties and industry competitors. Appeared as private prosecutor or defense counsel in various criminal cases. Represented and advised various companies in handling labor-related claims. Advised a technology company regarding compliance with the Philippines’ data privacy law.